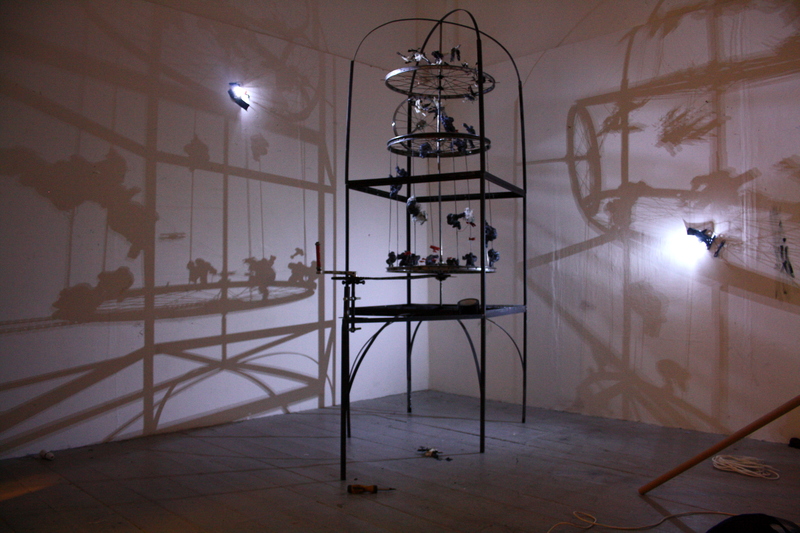 Ben Wayman’s work is an exploration between the mediums of sculpture and stop-motion animation. Re-appropriating ideas, figures and landscapes sourced from pop culture, characters from different epoques are juxtaposed and new narratives created. His kinetic, dramatically lit mixed media sculptures, invite the the viewer to reach out and set this collaged/fragmented story in motion. Ben was born and raised in Snowdonia North Wales. Recently graduating from Falmouth University with a degree in Fine Art.